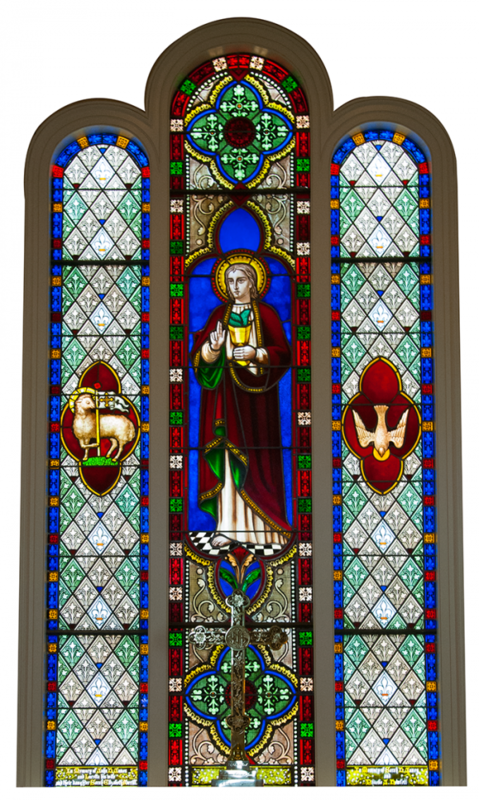 The stained glass windows at St. John's Church are perhaps the most famous of the parish's many treasures. 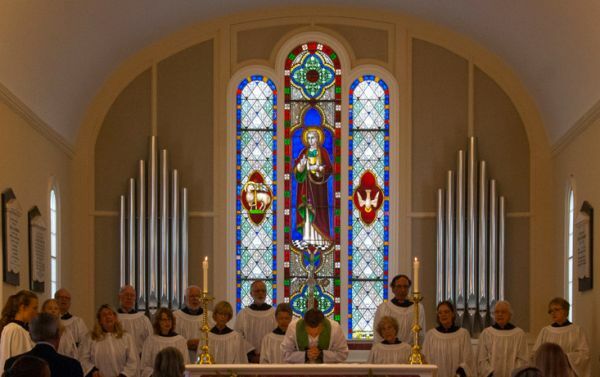 Starting in the late nineteenth century, stained glass windows began to appear in the church, and by the turn of the twentieth century there was a full complement of leaded glass work in place. The influences of the Oxford Movement which began in the 1830s didn't arrive at St. John's until the 1860s. Initially, our colonial style church was "gothicized," primarily with a liturgical floor plan (chancel and center aisle arrangement ), and gothic style furniture. By the 1870s, stained glass windows started to appear. The first windows were attributed to the firm of Sharp and Steele of New York. Known as glass stainers, they had a factory on lower Sixth Avenue, and were quite prolific in the period between 1850 and 1897. The windows on the west side of the nave, and at the chancel, are believed to be from this manufacturer. The rich colors, realistic renderings and ornate canopies are typical of Sharp and Steele's glass work. Metal and paint appliqués (some of them water soluble) were also employed. Their work was very popular during this period, and some churches were completely outfitted by "Sharp" windows. 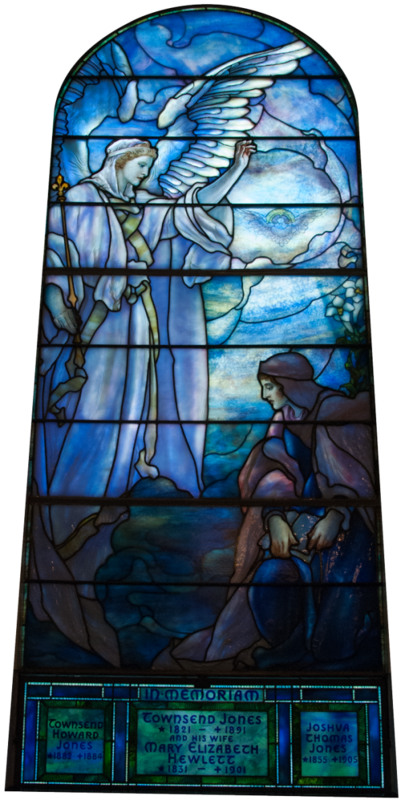 It was this style and process of glass making that Louis Comfort Tiffany opposed. He had introduced a new style of stained glass which employed richly textured layers of glass. The folds in fabrics and the details of vegetation were achieved with "flowing" glass. His renowned "opalescence" technique was all the rage in the latter part of the nineteenth century. Tiffany lived in the community, building his famous "Laurelton Hall" just to the north of the church in Laurel Hollow. Some of his descendants are members of St. John's today. The windows have undergone a tremendous amount of restoration work in recent years, and the work is not over (and will never be). They are not only visually beautiful, but also an integral part of our faith community's legacy.